Ready when you are, Slow Cooker Chicken Pot Pie Soup is the fix it and forget it meal for busy weeknight dinners! 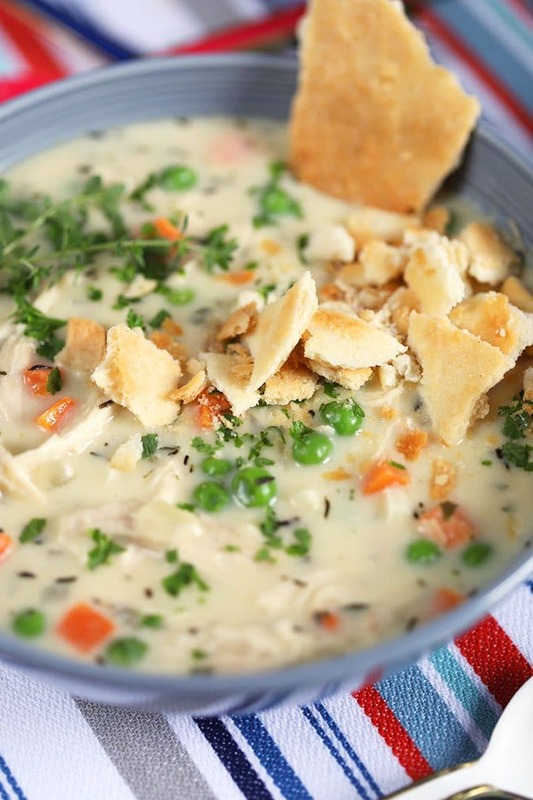 Rich and creamy, this Chicken Pot Pie Soup recipe is hearty and filling. Made with ingredients you probably already have in your kitchen, so no extra trip to the store needed. The school year is in full force now…we actually had our FIRST FULL week of school and it’s like the summer never happened. Weekdays are jam packed with activities and I’ve been traveling around the country for work. The hubs has been running the show at home and I prepped ahead as much as I could to make weeknight dinners for the family a breeze. This Chicken Pot Pie Soup crock pot recipe is one of my absolute favorite dinners because it’s pretty much ready when I walk in the door. I featured it first over on Spend with Pennies during the summer. 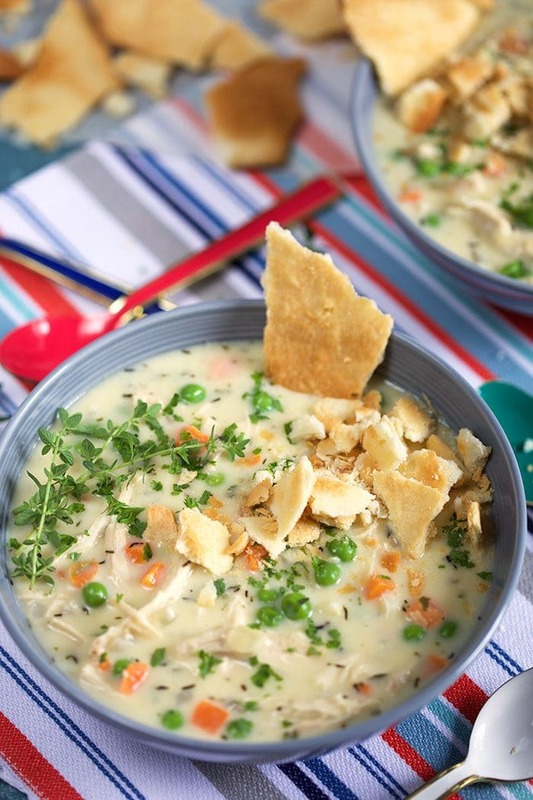 Slow cooker, Crock Pot, Instant Pot….whatever you’ve got, this easy Chicken Pot Pie Soup recipe is one of the greatest recipes to come out of it. My kids absolutely love it and it’s been on constant repeat for years. 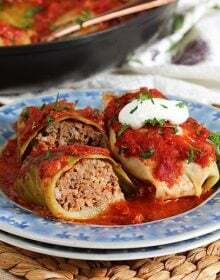 A definite tried and true recipe you’ll add to your weekly meal plan. 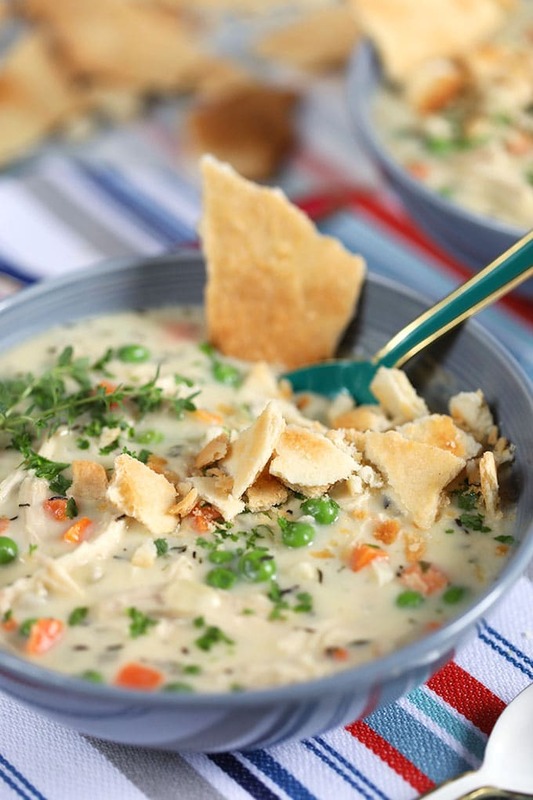 Just like your favorite Chicken Pot Pie….but not actually baked into a pie, this slow cooker Chicken Pot Pie Soup recipe is an easier way to enjoy a classic without fussing with a pie crust. Chicken and veggies are slow cooked in a crock pot until tender, then topped with a sprinkle of pie crust “crackers”. 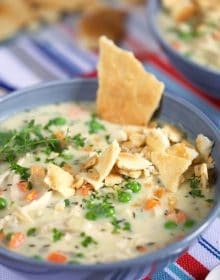 For this Slow Cooker Chicken Pot Pie Soup, chicken is slow cooked along with onions, garlic and chicken stock in your crock pot until fork tender before being shredded into bite sized pieces. Frozen peas and carrots are then stirred in with light cream to finish things off. 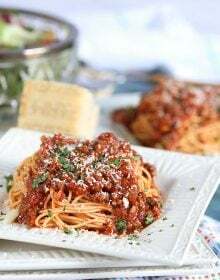 Just before serving, crumbled pie crust is sprinkled over top along with fresh herbs, if desired. A ton of people make chicken pot pie with cream of chicken soup, but this from scratch chicken pot pie version is just as easy! How do you make crust for Chicken Pot Pie? Making crust for Chicken Pot Pie or Chicken Pot Pie Soup is so super simple. I like to use THIS flakey pie crust recipe and omit the sugar but if you’re in a pinch you can totally just use a refrigerated pie crust. I make my pie crust in the food processor with just a few simple ingredients so you a totally pull it off just as quickly as you would if you ran to the store to buy a refrigerated crust. Catch my drift? Homemade Chicken Pot Pie Soup is one of my favorite cold weather dinners, but we also love it all year long because it’s so spectacularly easy to make! It’s also great to make a double or triple batch of healthy Chicken Pot Pie Soup if your slow cooker can handle the load, to freeze for even FASTER weeknight dinners. When I freeze my Chicken Pot Pie Soup straight out of the crock pot, I like to portion it out in to individual servings. 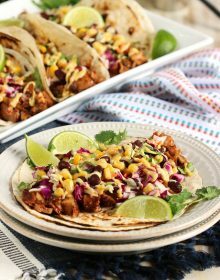 This way it’s easy to grab one from the freezer to heat up for a quick lunch or dinner on a busy weeknight. And if you’re a meal prep pro like me, I like to bake the pie crust a few days ahead, crumble it up and store it in a zip top bag so it saves me an extra step right before meal time. This Chicken Pot Pie Soup is my go-to when time is crunched and I don’t have time to whip up my other favorite, Skillet Chicken Pot Pie. Plus, when you make this soup recipe in the slow cooker….it’s essentially a one pot meal….so one pot to clean. And if you’re looking for another quick and easy dinner for time pressed weeknight dinners…..this Chicken and Dumplings Skillet Casserole is as amazing as it gets. Quick and comforting…..I mean, those biscuits on top are a meal all by themselves. Don’t you agree? 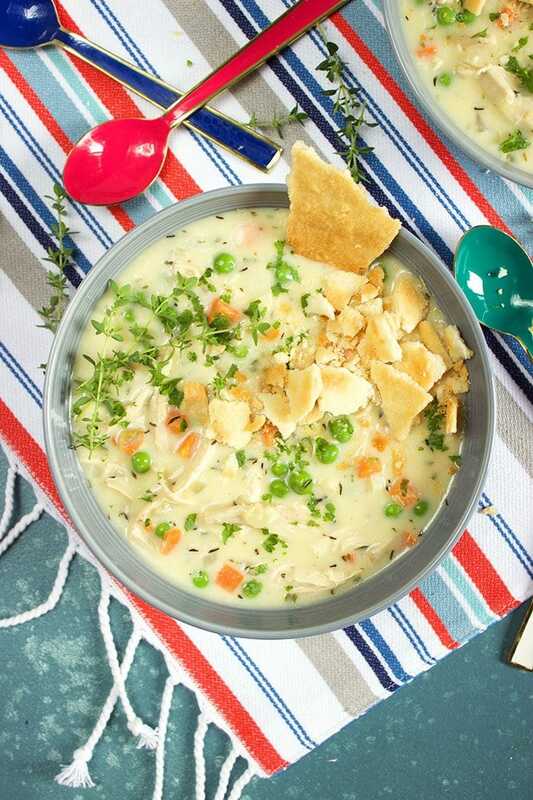 Quick prep and ready when you walk in the door, this Slow Cooker Chicken Pot Pie Soup recipe is one for the weeknight dinner record books. In the bottom of the slow cooker, layer the onions, celery and garlic cloves. Place the chicken breasts on top of the vegetables and pour the stock over the chicken. Sprinkle the chicken with thyme, salt and pepper. Place the lid on the slow cooker and cook for 3 hours on high or 6 hours on low. 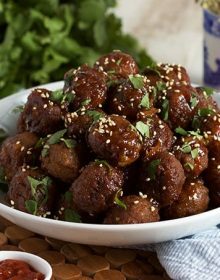 Remove the chicken from the slow cooker and shred into bite-sized pieces with a fork. Return to the slow cooker. Stir in the peas and carrots. 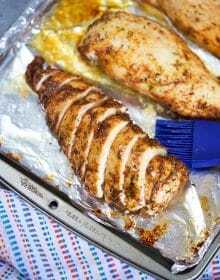 If using pie crust, while the soup is still cooking, roll out a refrigerated pie crust on a baking sheet coated with parchment paper and bake according to package instructions. Cool to room temperature and break up into bite sized pieces. 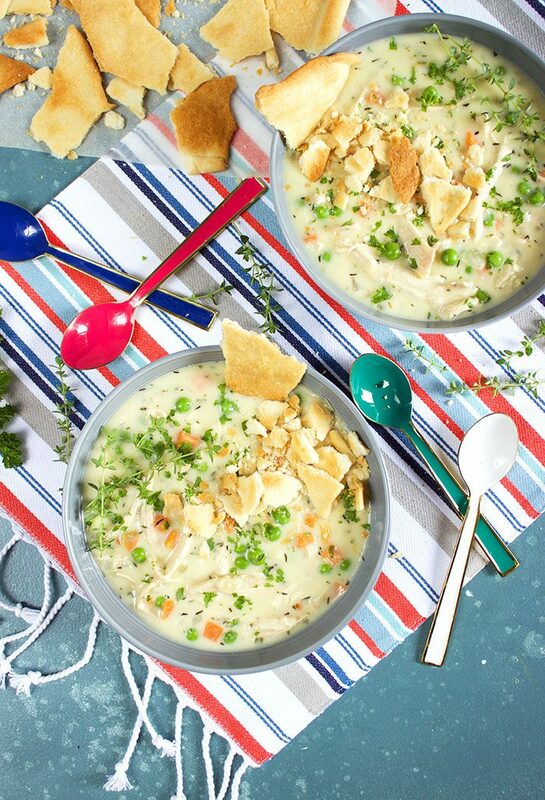 Ladle the soup into bowls and top with the pie crust crumbles. Sprinkle with parsley and fresh thyme, if desired. Serve immediately.